Where is the Hispanic, African-American, or Asian Sheryl Sandberg in PR? Sheryl Sandberg. By now you know who she is, you've heard her story, and you have her book. You know the whole shebang, and you've made up your mind whether you like her or not. I must admit that before I met her in person, I was not an immediate fan. My thinking was, “how many times has this story been told?” By all means, Sandberg is not the first to share her story on this topic; although the nation is acting like it. Mika Brzezinski's book Knowing Your Value, Cathie Black's book Basic Black, and Charlotte Beers book I'd Rather Be in Charge each share the underlining tone of Sandberg's overall message and platform. These women were certainly vocal about having a seat at the table. In this new generation of women empowerment and the “Lean In” movement, the one thing that stands out to me is the lack of women of color being profiled on this subject. Where are the Hispanic Sheryl Sandberg, the African-American Sheryl Sandberg, and the Asian Sheryl Sandberg? Seriously, where is she? I know she exists, but why is she not out front-and-center. Her story is important, because it's hardly ever told and because women of color need to see more examples of their counterparts “leaning in.” It's a whole other ballgame for this audience. Several weeks ago, I attended a multicultural women's conversation with Sheryl Sandberg at the Willard Hotel in Washington DC. During this breakfast meeting, Sheryl stuck to her talking points and shared how “women are held back by many things.” She noted that the stereotypical roles of men and women are institutionalized in our society and that women often hold themselves back from opportunities. She also acknowledged that these challenges are far greater for women of color. Bingo. I was sold on her and her ability to stand firm. This acknowledgement was all that I needed to believe that she could empathize with the different set of challenges that I may be faced with. But who am I and why do I matter? I am an example of the few persons of color that exist in the corporate PR agency structure. I am a person that quickly understands how this industry functions: women represent the majority of the entry-level and mid-level positions, yet the senior leadership teams are mostly dominated by men. Not only that, I am extremely bothered by the lack of people of color at the VP level and above across the corporate PR agency structure. We can make it to the account supervisor level, but why do we have trouble making it to vice president? Instead of sitting back and being frustrated, I decided to do something about it and launched an organization for women of color in communications called ColorComm. Now this may not seem like a big deal to some, but to those involved, it's one of the most empowering and enlightening experiences that you can have both professionally and personally. The professional women's organization provides a platform for mid-level, senior-level, and executive-level women in communications. Where else can this audience sit in a room and learn how to better negotiate salaries, learn how to go after new business, learn how to be a more effective communicator, learn the difference between “sponsor and mentor.” ColorComm helps to shift one's thinking and client practices to become a more valuable team member. What I know is that one day a woman of color will emerge from ColorComm and become the “Sheryl Sandberg” of the PR industry. I don't believe that women of color have the choice to lean in so easily at their companies. I think they can begin to think about leaning in, after they're bringing revenue into the company, after they've established themselves as a thought leader in their industry, and after a “sponsor” has vouched for their accomplishments. Basically this audience needs a safety net before it can decide to lean in, and that's one of the major differences on the road to success for women of color in communications. 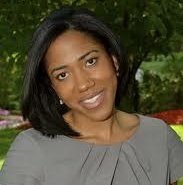 Lauren Wesley Wilson is the founder and chief networking officer of ColorComm Network.